Fantasia Barrino is on the comeback train. After her kerfluffle with her VH1 reality show, accused husband stealing, and pregnancy out of wedlock, she fires back with Lose to Win, the first single off of her forthcoming album “The Side Effects of You” set for release on March 13, 2013. 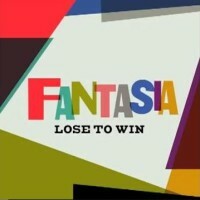 Fantasia plans to have a “rock soul” sound on the album, but I am not getting that vibe from this lead single. The airy midtempo is pleasing to the ear and seems aimed at attracting crossover appeal. As such, Fantasia keeps her vocal acrobatics to a minimum on this one. And the subject matter is pretty simple: sometimes you have to let go of someone you love for your own benefit. I’m feeling kinda 50/50 on this one. It feels like the attempt to dial back her “Fantasia-ness” has severely limited the amount of magic she has to work with. Listen to the track below and purchase on iTunes here. And when you’re done with that, add your opinion in the comments section. *BONUS: Check out a stunning acapella version below! Previous story Water Cooler Convos Grand Re-launch 01-21-13!!! !